Raised by Gypsies ::: Music Review // Verluna "The Narrow Road to Oku"
"The Narrow Road to Oku"
When this song first starts it hits with acoustic guitars and the vocals which remind me of something I heard in the earlier 2000's. I feel like there are elements of Elliott Smith in here, but it's not quite as dark as all that, so I'm trying to think of other names I listened to at that time, such as Devendra Banhart, Sufjan Stevens and Akron / Family. It's that combination of folk and Americana because I can't really call it "country" but it has that "for the people" kind of vibe to it. In some ways it can remind me of the softer side of Two Gallants and then the drums really kick in. As it gets louder it feels more like something you might hear on the radio (or have heard on the radio) as it has that sort of electronic folk rock sound I like to relate with X Ambassadors for some reason. It's that idea of shaky vocals coming through with the twang but this bass drum giving you a beat that you can dance to and makes you unsure as to whether it should be filed under acoustic or electric. There is a beauty in this song and Verluna is taking you on a journey simply because of the title but also because of the progression of the song. 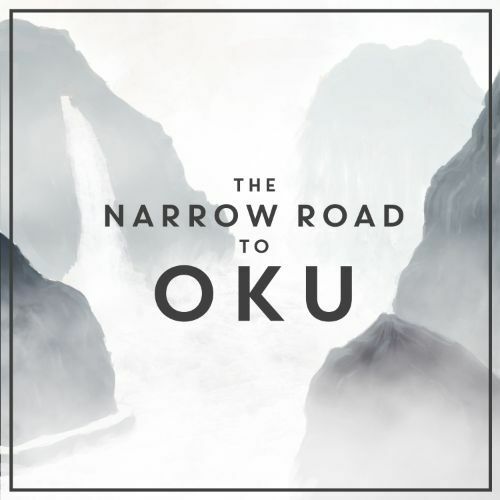 While most songs live by the standard of verse/chorus/verse I feel like Verluna has two movements on "The Narrow Road to Oku", which at first is softer and then during the second act it really just opens up and lets loose. Songs which are straight forward and easy to define are not for me. The second half of this song could be on the radio, but would they allow it to do so with the more gentle intro of the first half? It's that idea which I love most about Verluna and this song. It's for the radio, but it's not. It's acoustic, but it's not. That perfect combination of elements- being both something and not being it- is what will hopefully leave you wanting more.